As you sit in front of your computer—your hands sweaty, your heart beating rapidly, your neck stiff—you know you have but one chance. You stare straight ahead at the saw blades, at death itself. You brace yourself, take a deep breath, and jump. You jump down toward death, careen to the wall to your left, slide down it, time your jump, and kick off the wall, hoping to go through the narrow passageway between those two imposing saw blades. You make it through, and you fall into another saw blade that waited ever so patiently for you on the right side of the screen. Super Meat Boy is quite possibly one of the most frustrating games you could possibly hope to play. That being said, it is also one of the most satisfying experiences available right now, and its wondrous level design, tight controls, and immersive gameplay make it one of the most compelling titles released in recent memory. 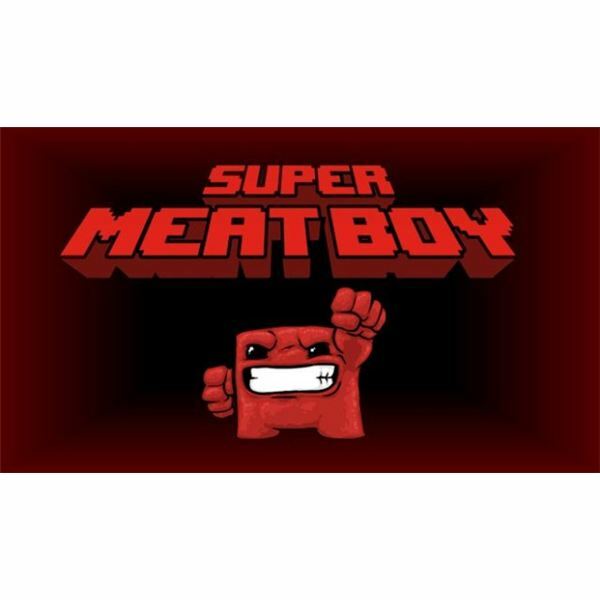 If you can stomach the insane difficulty, download Super Meat Boy for yourself this instant and see just why the game is so great. If you fear a retro-style challenge and want to learn more about the game, by all means, read on. You play as the titular Meat Boy, a square-shaped skinless boy whose girlfriend, Bandage Girl, has been kidnapped by the evil Dr. Fetus. 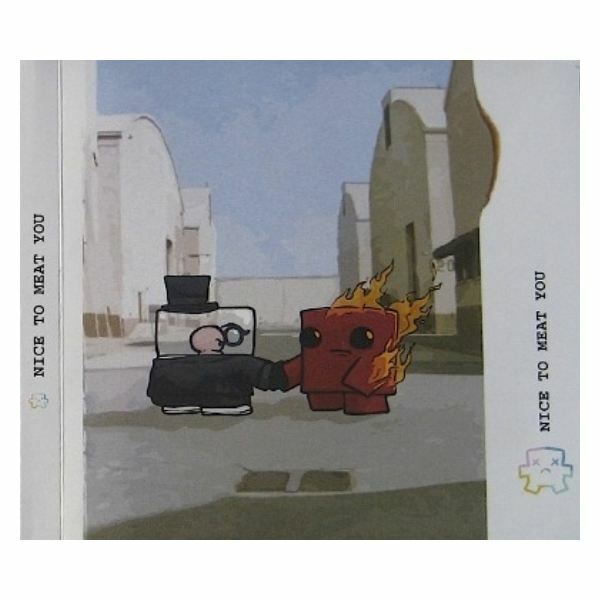 If you’ve played the original Meat Boy, then you’ll be familiar with the story here as it remains unchanged. This tale of good versus evil is fairly simplistic, but the over-the-top cutscenes that pop up before you begin each chapter are enjoyable and hilarious enough to add true meaning to the plot in Super Meat Boy. You must guide Super Meat Boy through five chapters consisting of over 300 levels. Though the number of stages may seem daunting, it’s not the quantity of the levels that will keep you playing for a long time, it’s the difficulty. The game starts out with a couple of simple introductory levels that teach you the basics (running, wall jumping, etc. ), but the challenge quickly picks up as saw blades, projectiles, and salt are all introduced to the game. 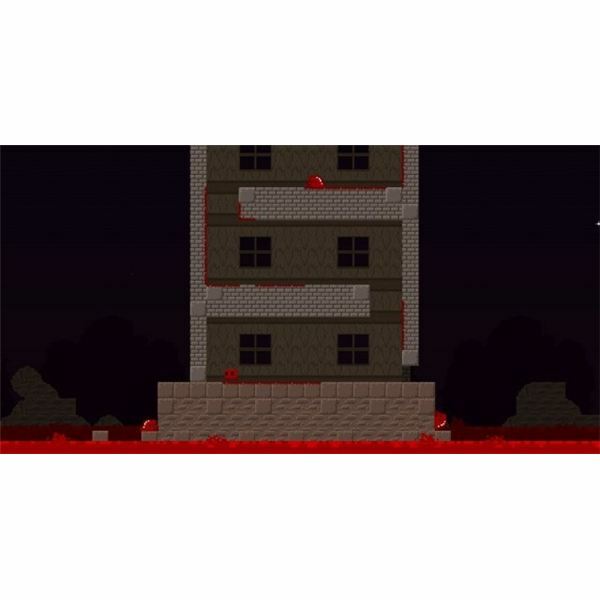 You must guide Meat Boy through the game’s plentiful number of levels and adapt to different situations. Some levels require precise platforming, others force you to keep a steady hand as you launch Meat Boy through the air and dodge projectiles. Still others have you outrunning lava, homing missiles, or beastly bosses. Gameplay in Super Meat Boy is intense and incredibly difficult. Prepare to die. A lot. What makes Super Meat Boy so special is its profound ability to take gamers back to an era long forgotten. Before the HD graphics, before the 16-person online multiplayer, before the freaking video game industry decided to take it easy on gamers by releasing ridiculously easy titles, there were games like Contra, Mega Man, Super Mario Bros. 3, and Ninja Gaiden. These were games that kept you sitting in front of the TV, eyes glazed over, as you told yourself, “I’ll get it this time.” Of course, you would fail, but that didn’t stop you from retrying again and again. Super Meat Boy is a lot like those games in that it brings death upon you with no remorse, but it challenges you to keep trying. Level layouts must be memorized, patterns must be formulated, and twitch reflexes must be employed to their fullest in order to succeed in Super Meat Boy. It’s a gameplay formula that is rarely used these days, and if you grew up playing video games in the ‘80s or ‘90s, you’ll immediately feel like you stepped into a time capsule and went back to an era where you had to be tenacious, motivated, and just plain tough to get through games. Super Meat Boy lets you choose between the computer keyboard and a traditional gamepad for control. 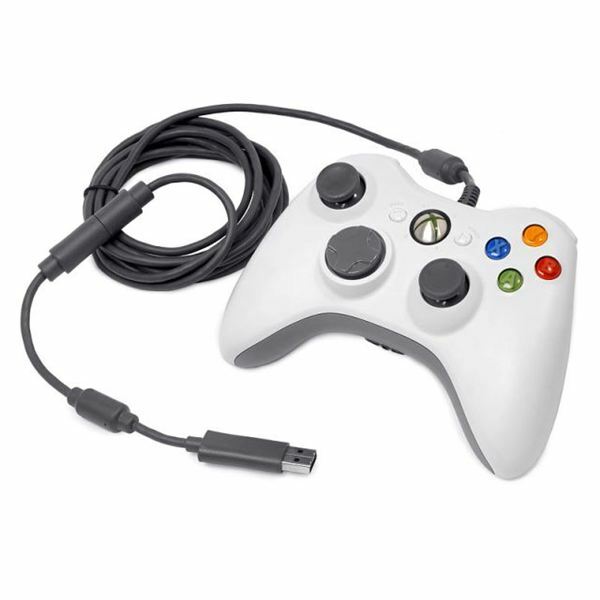 Though the keyboard is functional, nothing suits this retro-style side-scroller much like the Xbox 360 controller. Remember all those awesome NES games you loved so much as a kid? Yeah, you didn’t play them using a computer keyboard, did you? Stay retro and use a controller. You’ll definitely get maximum enjoyment of this title that way. Meat Boy controls a heck of a lot better this time around than he did in the game’s Flash-based predecessor. Though the controls were passable in that game, Super Meat Boy offers a much tighter level of precision. Wall jumping, running, and swaying from side to side while in the air are all executed fluidly. There is no better way to describe the game’s controls than perfect. 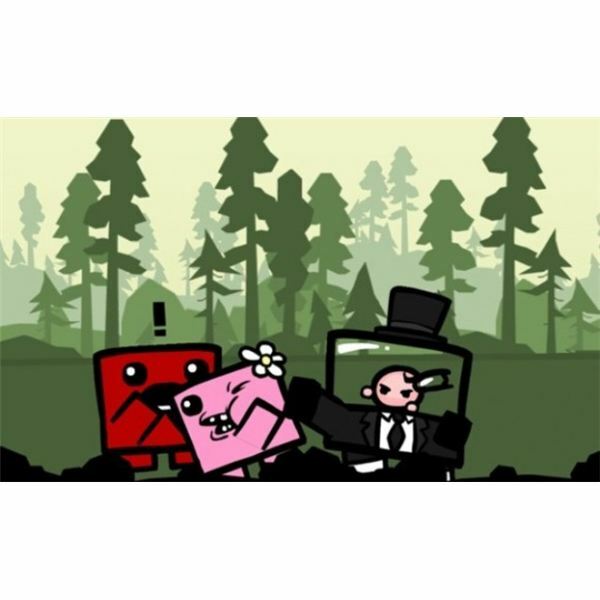 Super Meat Boy is colorful, charming, and exuberant, not only in its gameplay, but in its visual presentation as well. Levels are both cartoon-like and eerie, and this is due to the various hazards spread throughout. You realize just how much fun developer Team Meat really had when you see a cutesy forest area littered with bloody spikes and blades. And the boss design doesn’t fall behind either. Though definitely charming, the bosses have a distinct look to them that says, “I may look cool, but I’m going to kill you. See? I just flattened you!” The entire graphical design of Super Meat Boy is rich and pleasing to the eyes from the moment you start playing to the moment you get through the game. I seriously believe that indie games have some of the best music soundtracks conceived by man. Every chapter in Super Meat Boy has its own theme music, and as you play through each level, it’s hard not to get the game’s remarkable score stuck in your head. It’s the type of music that makes you glad the soundtrack is available for purchase online, because chances are you’re going to want to buy it. It’s just that damn good. 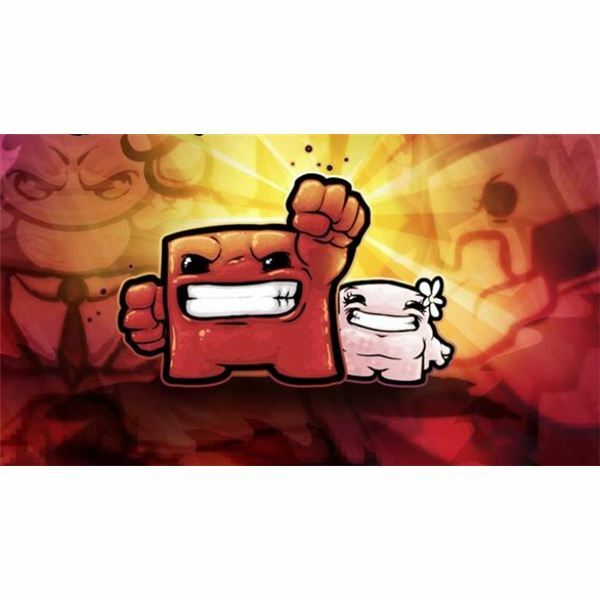 With over three hundred levels spread through two worlds, collectible bandages hidden in different levels, special retro-themed stages, and unlockable characters such as Captain Viridian from VVVVVV and Josef from Machinarium, you’re bound to spend a great deal of time playing Super Meat Boy. The game’s Steam achievements are especially difficult to attain, which means you’re going to have to master the game to earn everything it has to offer. And with the brand new Super Meat World portal that adds several new levels created by Team Meat as well as other users, Super Meat Boy is truly a long-lasting package that will keep you enthralled for a very long time. It’s highly likely that Super Meat Boy will make you want to throw your controller at your computer monitor countless times, especially when you realize that you’ve been trying to get through the same level for over 30 minutes. But that’s just the type of game that Team Meat crafted. The excellent minds of Edmund McMillen and Tommy Refenes have conjured up a truly special game. Though Super Meat Boy will only appeal to truly dedicated gamers that don’t mind putting themselves through a great deal of suffering to ultimately gain a sense of satisfaction, this colorful side-scrolling platformer is an experience worth every minute of that suffering. You’ve been warned. Now go get lost in the world of Super Meat Boy, and prepare for some serious sensory overload.